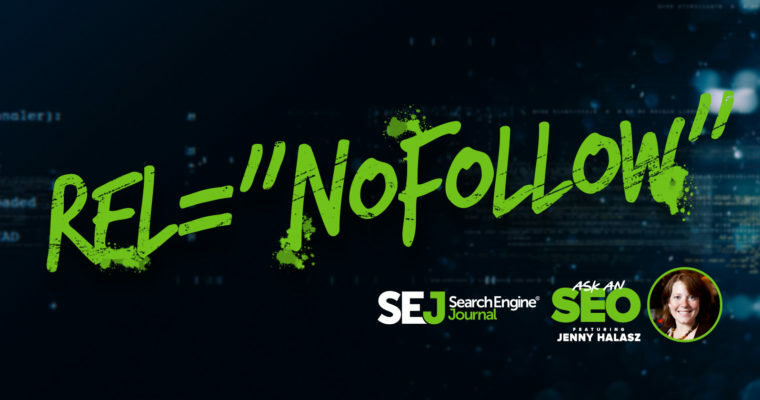 Although the nofollow attribute was launched in 2005, it still seems to be the cause of some confusion in the SEO industry today. Which is a bit strange, considering Nathan Johns of Google recently said at SMX West that nofollow hasn’t changed since it was implemented. This post will help clarify what exactly the nofollow attribute is, explain the value of nofollowed links, and then go over when you should and should not use nofollow on links. The rel=“nofollow” meta tag tells search engines not to follow one specific outbound link. This is done in cases when a website doesn’t want to pass authority to (or “endorse”) another webpage or because it’s a paid link. Let’s start with a little bit of nofollow history. 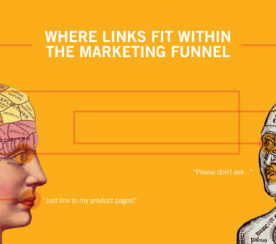 In the early 2000s, everyone doing SEO knew links were part of Google’s algorithm. So, to rank better, people abused links. It was all about quantity. People built links in every way possible, including in blog comments. With comment spam on the rise, Google decided to work on a solution. The result was the nofollow attribute, or <rel=”nofollow”>. 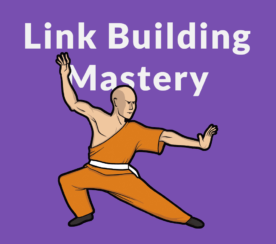 The idea was, you could use this attribute to signal to Google that you didn’t want them to count this link when they were evaluating your site’s inbound links. Next, Google wanted you to use it for paid links and anywhere you had total control over the link. Eventually, Google started penalizing people for having too many links pointing to them that were deemed “unnatural” (e.g., directories, link exchanges, press releases, guest posts). What all this madness ignores is that links are the fundamental building blocks of the World Wide Web, which was invented by British CERN scientist Tim Berners-Lee 28 years ago this month. Before search engines, the number one way people found new sites was by following links. But because the number one place most people start on the web now is a search engine (although it’s rapidly being overtaken by social and apps), Google feels perfectly at ease with dictating how we should link to each other. As you can probably tell, I’m not a fan of this. I believe interactions should be natural; that sites that provide high-quality experiences and traffic should be able to link to anyone any way that they please. If your site doesn’t do these things, then you have other problems beyond what type of link attributes to use. Nofollow links do not pass PageRank. Therefore, using a nofollow link means that link won’t pass PageRank (a Google-only measurement of the quantity and quality of links) to another page. This means, on the one hand, that Google cannot penalize you for linking to a site that’s known to be a low-quality site. 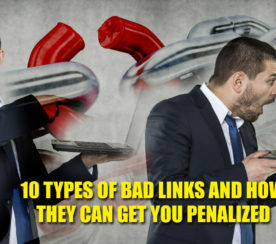 They also can’t penalize you for linking out too much (yes, that’s actually happened). On the other hand, this also means that a link from your site bears no value to other sites, which means they’re much less likely to include you in announcements of new products or exciting developments unless you already have a large user base. Many of the largest sites (e.g., CNN, NFL) now place nofollow on all their outbound links. This means that a link on their site has no PageRank value. However, links from these sites still have high value because of the quality and size of their user base. Never forget: even a nofollow link has value, because it gives potential visitors the opportunity to visit your site and expands awareness. Even a mention on a site without a link is valuable for raising awareness. Does all of this sound confusing? Good. Because it is. There are no hard and fast rules to apply when deciding whether to link out to sites. However, what follows are a few good guidelines for when to nofollow links, and when to allow followed links. Anything that has user-generated content is likely to be a source of spam. Even if you carefully moderate, things will slip through. I’ve fought back more than one manual action for user-generated content spam on some very reputable forums my clients’ manage. It slips through, even if you nofollow. But if you don’t nofollow, your spam-fighting will be much harder and more prevalent. Any links that are meant to be advertisements or are part of a sponsorship arrangement must be nofollowed. This means sponsored content, text and image advertising, and run-of-site links. They’ve just been over-used and abused too much. Most press release sites now nofollow all links by default anyway. If you charge in any way for a link (directory submission, quality assessment, reviews, etc. ), nofollow the outbound links. The real difficulty comes in evaluating editorial links. This is only valid if your guest poster is someone you have vetted, who posts often on your site, and whose site is one that you trust. Even then, only allow your authors to include a single link, and only allow their anchor text to be their own name or their company name. The reason for doing this is that many reputable authors will prefer to post on sites that will offer them a link back to their company site in exchange for great content. If you are interviewing a celebrity or a subject matter expert, it’s fine to link to that person’s site. Again, only use anchor text (the linkable text) of their name or their company name to be safe, but providing a link in exchange for their time is the least you can do, and will help you score interviews with other important people in the future. But be careful: If you interview people every week, if you interview a lot of people who no one’s ever heard of, or if you interview someone who is known to practice shady link practices on their own site. Any of those situations might be one where you should nofollow the link. If you are providing an unbiased, uncompensated review of a product or a tool. If you are citing another article as a source. If you mention a positive association that you have with another site. These sites/resources deserve the link you’re providing them. But be careful: If you write a lot of review posts, if you receive something for free in exchange for reviewing it, or if you write a post only about one product or service without comparing it to others. These are all red flags for Google and they may begin to view your posts as “sponsored” content. Duane Forrester, formerly of Bing, once said that the only true link is the one you didn’t know you were going to get. While that’s somewhat naïve, considering the many different types of link arrangements out there, it’s a good guideline for publishers. If you’re writing an article and the site you link to didn’t know you were going to mention them in advance, it’s probably just fine to keep that link follow-able. You’ll see I’ve provided a link to Forrester’s personal blog above. Since he’s no longer with Bing, it doesn’t make sense to link to them, but I want to give him credit. I don’t get to choose if SEJ allows it to be follow-able or not, but if I were writing this on my blog, it would be. I’m sure this has made when to use nofollow (and when not to) about as clear as mud. My best advice for choosing: be as natural as possible. If you want to link to the site and feel no pressure or obligation to do so, go ahead. If you’re getting money in exchange or you don’t think the site deserves the follow-able link, make it nofollow.